Mr. Wei is the Chairman and CEO of Bay Environmental Technology Corp. (Bayeco), a leading cleantech company dedicated to flight air pollution and climate change in China. Bayeco has been named as “Global Cleantech 100” in 2016-2018, and also won the “Asia Pacific Company of Year (2017)” award. In 2016, Bayeco was selected by the Chinese Central Government and the US Department of State to join the “US-China EcoPartnerships program” which is the official program between U.S. and China for Energy and Environment Cooperation. Mr. Wei also serves as the chairman of National Technology Center for VOCs control in China, which is the only national level VOCs control technology center authorized by China Ministry of Ecology and Environment. He is also the vice president of the Chamber of Environmental Services of the All-China Federation of Industry and Commerce. 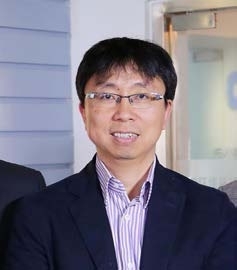 Mr. Wei has won many prestigious awards including “EY Entrepreneur Of The Year 2016 China”, the world’s most prestigious business award for entrepreneurs, and “The National Environmental Protection Science and Technology Award”, the highest award for technology innovation by China Ministry of Environmental Protection. Mr. Wei holds a Master degree of Environmental Engineering from the University of Texas at Austin, and a MBA from the University of South California.